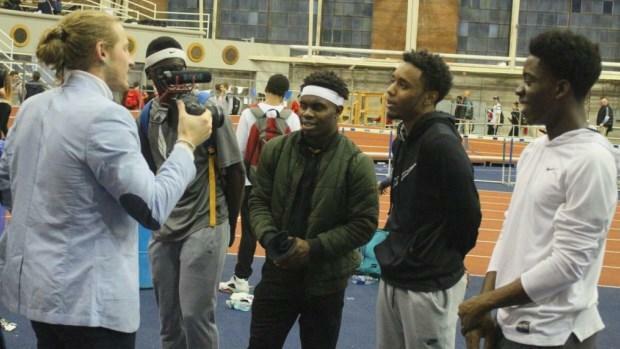 Central High sprinters talk with MileSplit's Billy Cvecko after a dominating performance in the sprints events at the Yale Track Classic on Jan. 21. The Knights are one of the contenders in the Class A meet. MileSplit RI will be on site once again to provide complete coverage of the meet. Check here for all the information you'll need for this weekend's meet.